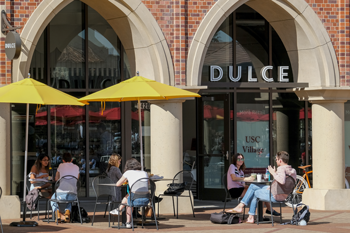 Whether you're looking for an iced latte, tasty bite or a fast way to get across campus, USC Village's Trojan-owned business have you covered. 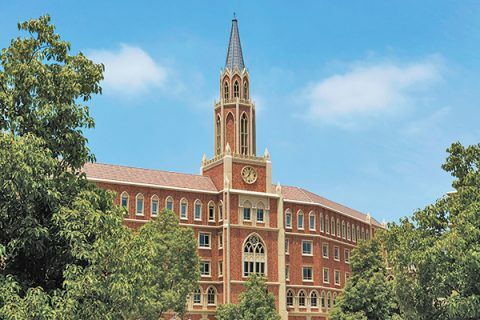 With more than 25 businesses and 100,000 square feet of retail space, USC Village can feel like it has the bustling energy of a downtown retail district. And when you step inside a shop, there’s a good chance you’ll find yourself in a Trojan Family enterprise. One of these is URB-E, which makes and sells foldable electric vehicles. 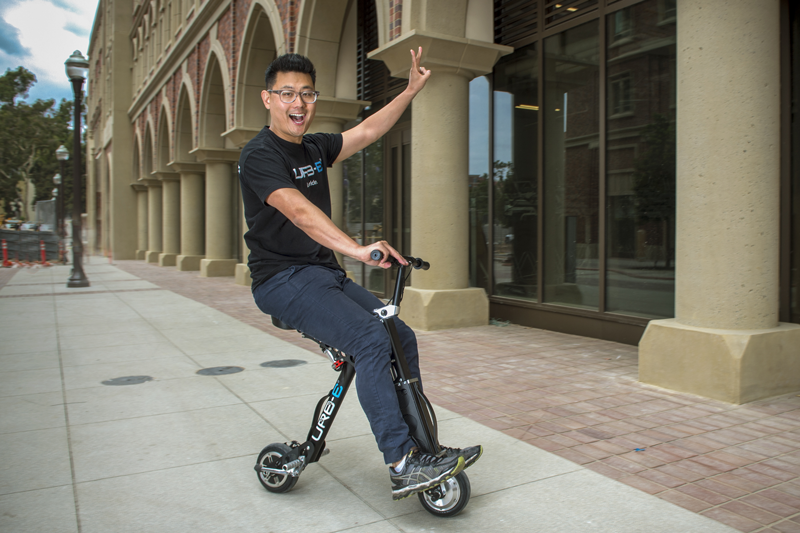 The speedy scooters caught on with students in the USC Village shop’s first year on campus. “We had to increase production to meet demand after we opened at USC Village,” says Peter Lee MBA ’09, CEO and co-founder of URB-E. “Some students would rent for a day, hang on to it for a week, then a month, and they ended up buying.” Several of those purchases were financed through a program set up by the USC Credit Union. For customers who want a more traditional ride, Solé Bicycles is just a few doors down. Founded by three Trojans with a grant from the Lloyd Greif Center for Entrepreneurial Studies, Solé sells stylish bikes with prices starting around $200. Head of Business Development Brian Ruben ’09 (also known by the title Chief Tire Pumper) says Solé has developed a relationship with students that works both ways. 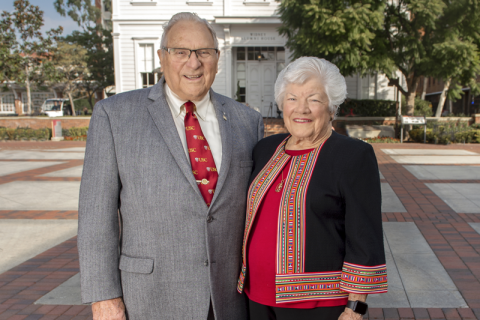 Over at Rance’s Pizza, co-founder Aaron Tofani MRED ’11 is also developing a business bond with USC. When he’s not serving up Chicago-style pizza and catering campus events, Tofani finds time to mentor business students, giving feedback on pitches for entrepreneurial ventures. Students outside of Dulce coffee in the USC Village. 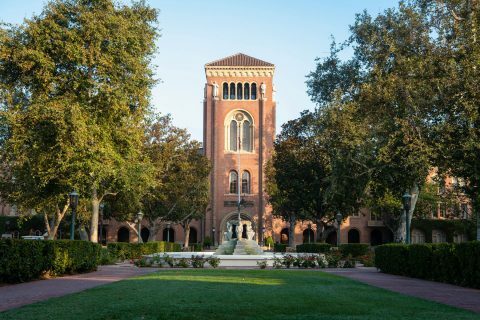 Other USC Village eateries with Trojan ties include Trejo’s Tacos, Baked Bear and Dulce, a café serving specialty drinks and pastries like bacon-topped donuts. Dulce founder James Choi ’05 says he loved the idea of coming back to campus as a business owner. “We’re a good fit for students, and now we’re seeing customers from the West Adams neighborhood, as well,” Choi says. Rounding out the group of alumni businesses is a Nail Garden franchise, operated by Ari Monosson ’00, MA ’02, who looked for ways to make the shop exceptional. The spa chairs are handmade in Southern California, and Monosson invested heavily in air conditioning and ventilation, so the shop doesn’t have the acetone smell that can hang heavy in nail salons.